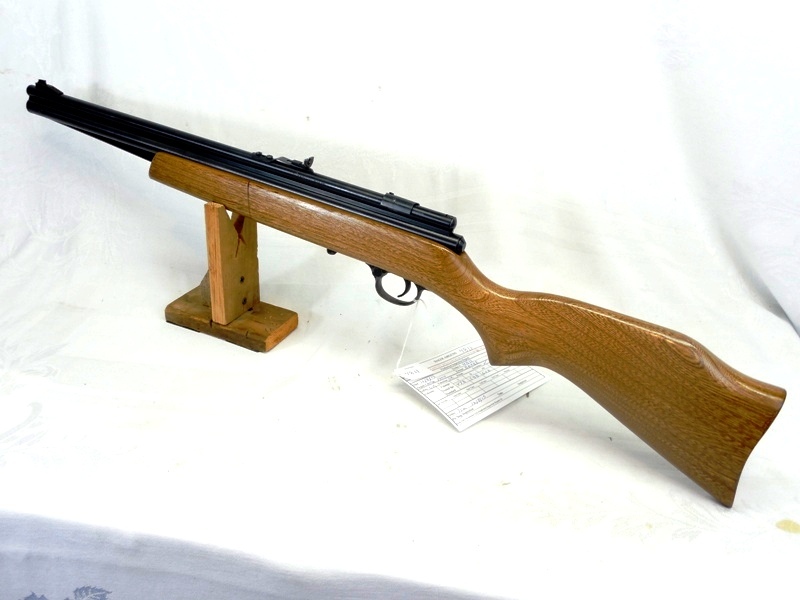 The Crosman 1400 Pumpmaster was made from 1968 to 1978. This one was made. 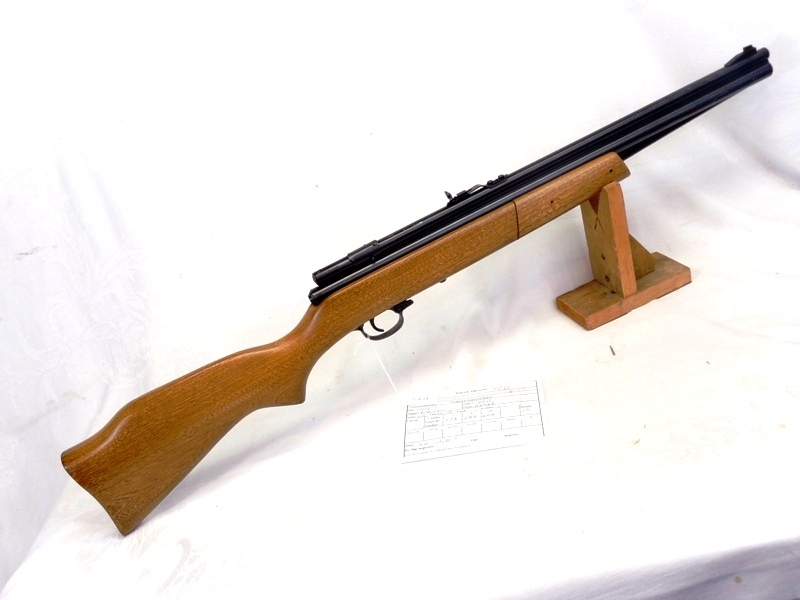 This one is a first variant, made 1968-72 with a sliding breech cover. 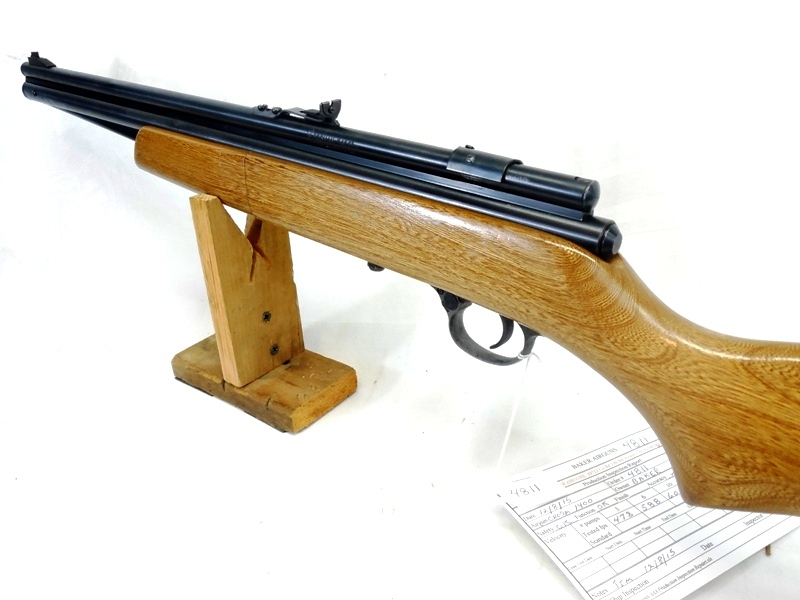 The Crosman 1400 is a .22 caliber single shot multi pump air rifle It has a rifled steel barrel and a hardwood stock. This one was re-sealed recently in our shop. Velocity was tested at 606 f.p.s. 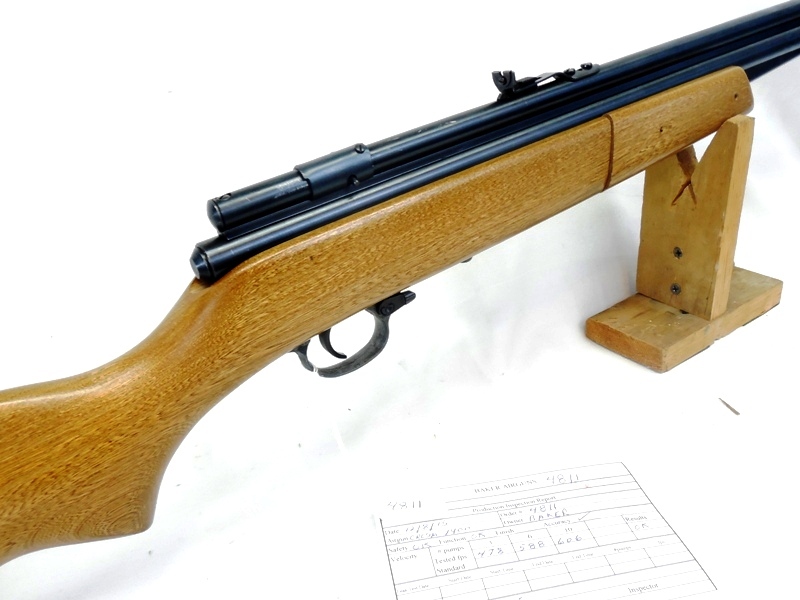 The condition of this rifle is excellent. The metal retains 98% of the original finish. The wood has been refinished.